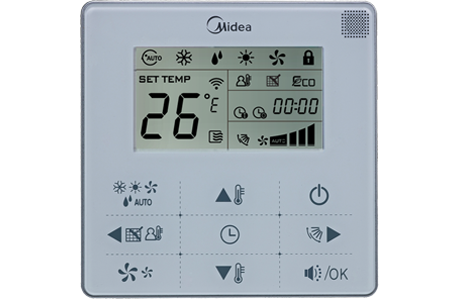 The wired controller records the total running time of the indoor unit. When the accumulated running time reaches the pre-set value, it will remind users need to clean the air filter of the indoor unit. 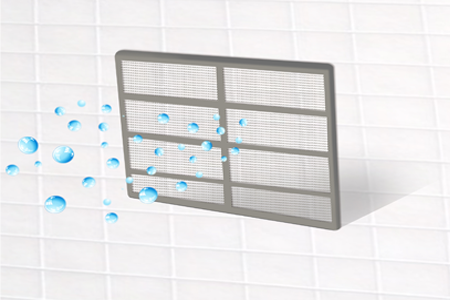 Cleaning the filter regularly can keep indoor air fresh and clean, promotes health. Under the cooling, heating and auto mode,activating Silent Mode can reduce running noise by setting fan speed to Low. Helping maintain a peaceful environment.